Everybody has their sights set on John Wick. Literally, every assassin has their guns trained on him in the new trailer for John Wick: Chapter 3-Parabellum, which ought to teach him something about breaking hotel rules. Keanu Reeves is back as the titular hitman, on the run after committing an act of violence on Continental grounds. Now every killer looking for a fat paycheck is gunning for him. The previous trailer focuses on Wick as he made a run for it, but this new one spends more time with the cast of hired guns out to cash-in on the price on his head. 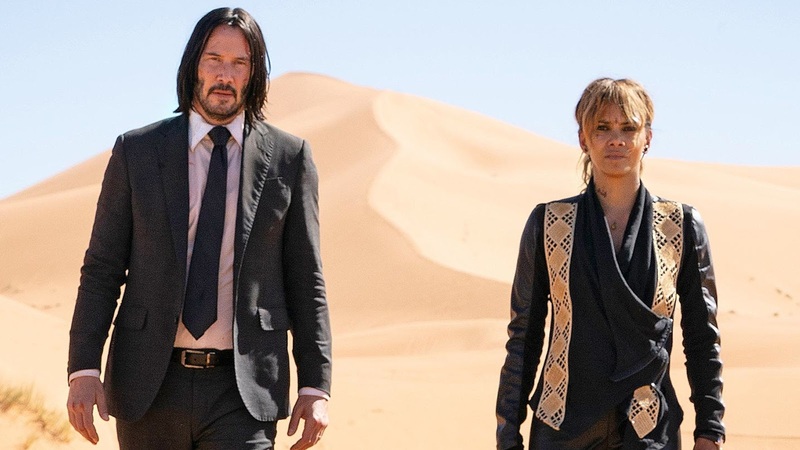 Here's the synopsis: In this third installment of the adrenaline-fueled action franchise, super-assassin John Wick (Keanu Reeves) returns with a $14 million price tag on his head and an army of bounty-hunting killers on his trail. After killing a member of the shadowy international assassin’s guild, the High Table, John Wick is excommunicado, but the world’s most ruthless hit men and women await his every turn. Some of the new faces include Anjelica Huston as The Director, an old friend of Wick's and perhaps his lone protector within the High Table. Another friend is Halle Berry as Sonia, who comes to fight with her pair of attack dogs. There's also Jason Mantzoukas as Tick Tock Man, Mark Dacascos as the vengeful Zero, and Asia Kate Dillon as The Adjudicator. They join returning co-stars Ian McShane, Lance Reddick, and Laurence Fishburne. John Wick: Chapter 3-Parabellum is directed by Chad Stahelski and opens May 17th.